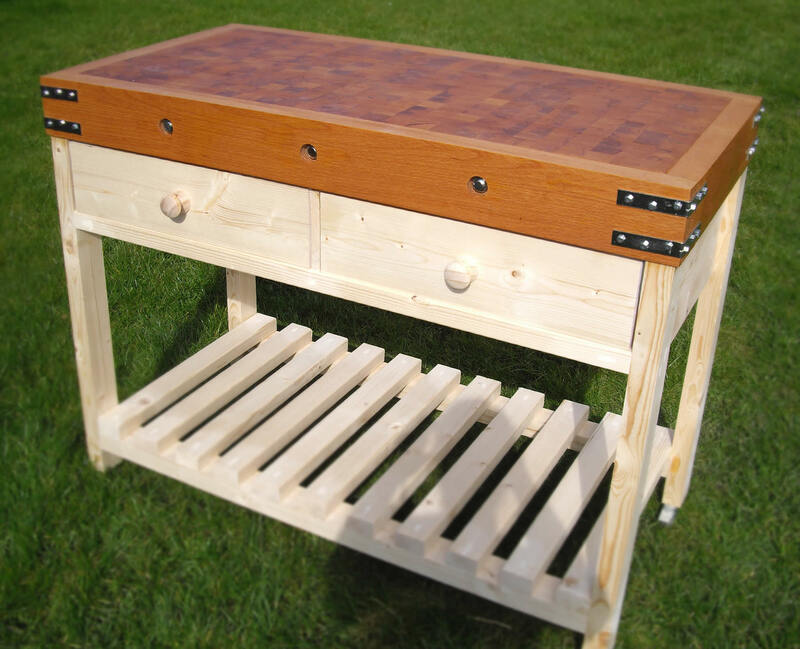 Large Butchers Block - Eagle Butchers Blocks; beautifully hand-crafted butchers blocks made from beech and pine, suitable for butchering, commercial kitchens or general kitchen use. Large butchers block with two drawers and plain stand. Butchers block in main picture has standard beech knobs. Add castors, two large baskets or a towel/utensil rail if you wish. We highly recommend oiling your block with raw linseed oil regularly to stop it drying out too much. If you would like any other options like a painted stand, or extra shelves, please look at the Bespoke Butchers Block or get in touch with Selwyn.